The unique circular journey crosses rolling farmland, traverses ancient and regenerating native forests, passes through unique saltmarsh wetlands, and touches the coast of the Kaipara Harbour – the largest harbour in the southern hemisphere. An intensive conservation project begun in 2005 encompasses the entire farm and evidence of this will be seen as you journey. Kilometres of fencing now protect streams, waterways, wetlands and gullies, and teams of volunteers have planted over 100,000 native trees in the last 12 years. Pest and predator traps can be seen in regular intervals along the trail and protect the growing number of endangered flora and fauna that call Mataia home, including North Island Brown Kiwi which were re-introduced to Mataia in 2013. 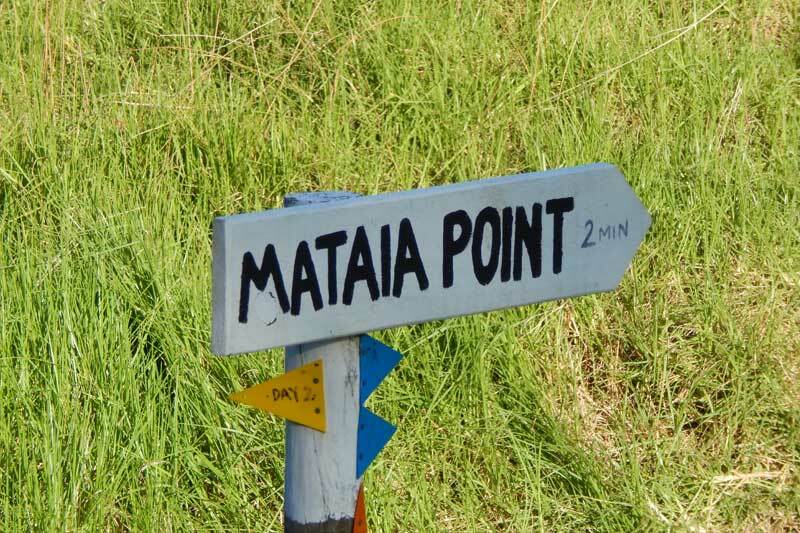 The Mataia 12km circular walk starts and finishes at Mataia Homestead. Allow yourself 4-5 hours, with breaks, to complete the walk. The track is moderate to easy walking terrain but there are some areas that are rough and uneven under foot and it can be slippery after rainfall. There are several steeper uphill and downhill sections, as well as some boardwalks and steps. This is considered a back-country walk and a reasonable level of fitness is required to complete the track. Tramping boots or good walking shoes are needed, and a walking stick can be helpful if it has been wet or is raining. From the landscaped country gardens of historic Mataia Homestead, you start your journey out to the Kaipara Harbour, heading off across flat farm paddocks. A fairly short incline through an established pine forest takes you to the top of the rise and affords you your first view of the Kaipara Harbour. From here, you will wind your way down through the farmland until you reach Mataia Creek Track and the start of the Mataia Restoration Project. 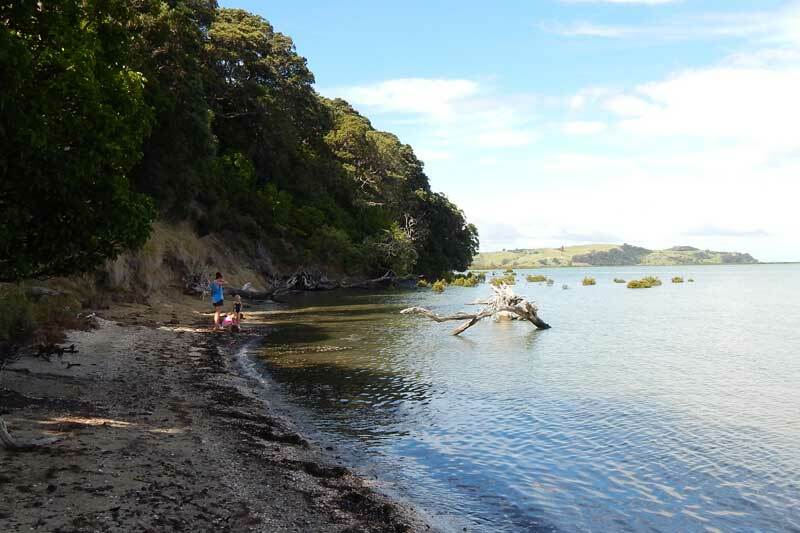 This area has been retired from farming for over 15 years and is where the base population of North Island Brown Kiwi was released following the birds’ translocation from Motuora Island back in 2013. Keep your eye out for their footprints and beak-probe marks along the track. Following the trail to the mouth of Mataia Creek, you then divert up into the QEII Covenanted area. 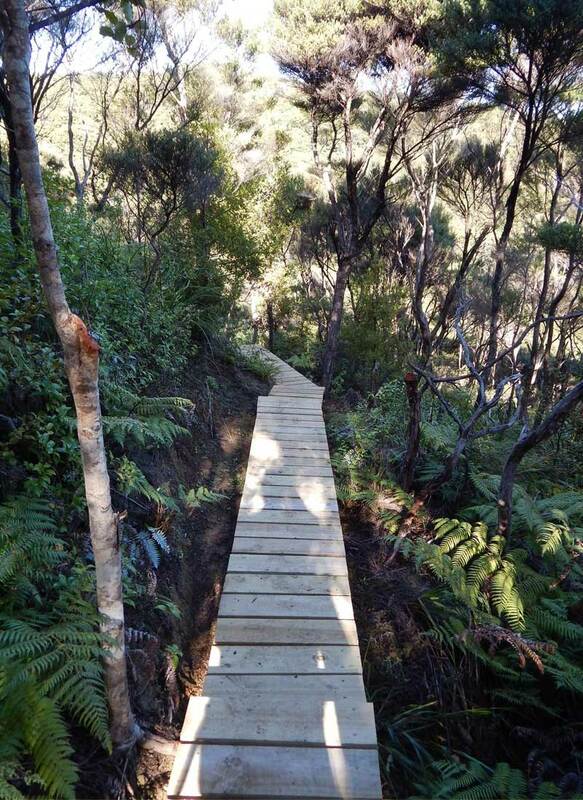 A series of boardwalks and steps twist and turn through a beautiful kauri grove until you reach the fishing track. From here, you head down to sea-level. 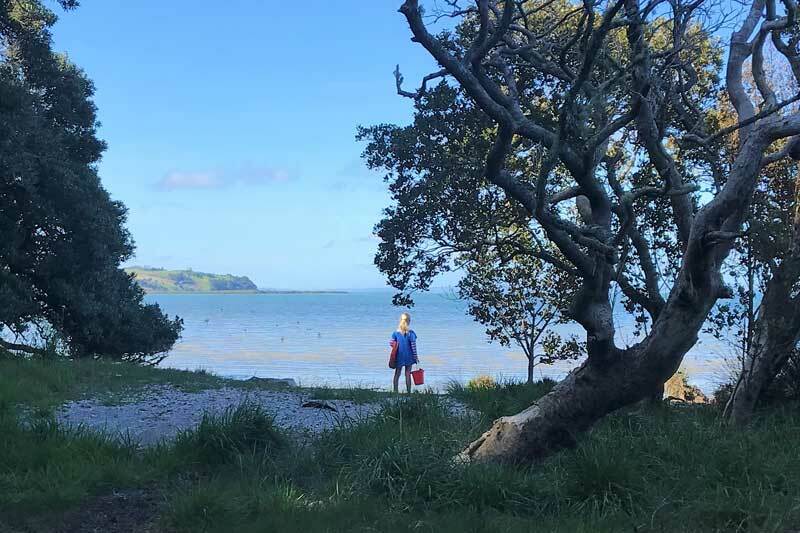 Mataia Bay is a small, shelly bay and a great spot to enjoy morning tea or lunch under the shade of the grand old pohutukawa that sprawl across the foreshore. If the tide is in you may see mullet leaping out of the water or stingrays sunbathing in the shallows. The track continues northward through the coastal forest of ancient native trees that line the base of the cliffs. You’ll notice the surrounding bush change and become scrubbier as the track leads you towards the saltmarsh wetlands. The views from Pakaraka headlands are a bird-watcher’s delight: at high tide, a large number and variety of wading birds can be seen roosting, including arctic waders such as godwits and lesser knots and local migrants such as wrybill, oystercatchers, stilts, banded dotterel and Caspian terns. Keep an eye out also for the small and highly-endangered NZ fern bird, which makes its home in the shrubby plagianthus (lowland ribbonwood) bushes that are prolific on this part of the walk. Now you start the journey back: the trail heads up through large ti-tree-dominated bush on the Lemon Tree Gully Track — so named for the citrus trees planted in the area by missionaries in the 1840s. The track opens out onto to the top of the headland which is also one of two large pa sites on the farm. Evidence of pre-European occupation can be seen in the large hollows in the ground from ancient kumara pits and fortifications. The largely immature bush is further evidence of Maori occupation as the forest on the headland would have been regularly burnt to maintain good visibility and protect the pa site. As you head back into the an area of established native trees, the track follows old cattle trails, winding down, up, around and along the top of the cliffs. Magical views over the Kaipara Harbour begin to appear through the tops of the canopy. Just as you reach the southern end of the cliffs, the track opens up and offers a truly unique view of the famous Gibbs Farm sculpture park on the opposite peninsula. From here, you will recognise the trail as you rejoin the fishing track, retracing your steps towards the finish. Don’t worry, you don’t have to deal with the pine tree hike again as the track diverts off and follows Mataia Creek as it meanders its way all the way back to Mataia Homestead.